Welcome to Khophi’s Dev Radio – We’re on at 21:00 GMT, this and every Sunday. 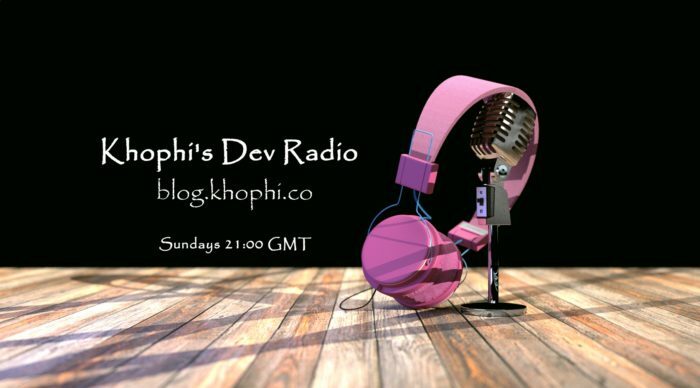 Khophi’s Dev Radio is an initiative of #TheAfricanDreamLLC and Khophi’s Dev to talk pure, cleanTech and have developer-oriented discussions and more, over the internet via a self-hosted radio. The CleanTech Show will show some love to developers and tech in general. CleanTeach will center discussions around developer life and work, and share insights beneficial to upcoming and or experienced developers. cleanTech on Khophi’s Dev Radio is sponsored by TheAfricanDreamLLC and supported by Barcamp Ghana. The link to listen will show up to click on at least 15 minutes before broadcast. See the top right of the page to see the Live Radio Player. Previous episodes of the show are all gathered at the bottom of this page for easy reference. On Phone or PC, use the link above to start listening right in the browser or your media player app on the phone.